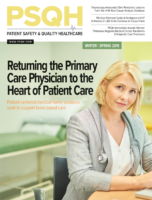 We are in the midst of tremendous change in healthcare, and physician advisors are needed to be the lighthouse guiding our physician colleagues in the turbulent waters. The notion that a physician advisor only needs to know how to determine a proper level of care is well past us at this point, because organizations have realized that physician advisors can, and are, impacting healthcare organizations in many other equally important ways. Cultivating a culture, communicating, and building a team are the most important leadership skills for facing the demands of an evolving healthcare landscape. So say the nearly 500 executives, clinical leaders, and clinicians who responded to the NEJM Catalyst Insights Council’s recent leadership survey.